Wow! Look at this stunning waterfront home or cottage the "POINT" with over 450 ft of waterfrontage. Enjoy stunning panoramic views on 3 sides and a great view of Loon Island (the nesting place for the local loons). Watch bald eagles, loons, blue herons, a variety of ducks & other wildlife, right from your cottage. This home features over 2460 sq ft of living space, 4 bedrooms, 3 baths & a large 2.5 car garage, ceramic tile floors in the entry and hallway, open floor plan, fireplace and plenty of sleeping space! The original cottage was remodeled between 1999-2000 w/new windows, copper plumbing, insulation& roof. The large addition was built in 2002 with sitting room, full baths, & 3 more bedrooms. Island Lake offers over 230 acres of shared land for walking, hunting, fishing, ATV'ing & bird watching. 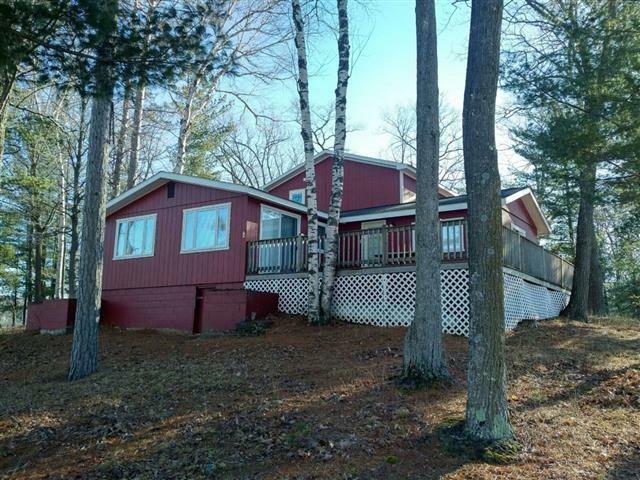 This home is also located within a mile of the designated snowmobile trailhead & ATV trails are just north of the county line. Conveniently located between Gladwin & Houghton Lake!